Lens: with 40mm diamter and 5.2 magnification times. Compatibilty devices: It compatiables with iOS and Android smartphones from 4.0 to 5.5 inches，such as iPhone 6/ 6 Plus 7/7plus, Samsung ASUS LG, Nexus, Sony, and more. Note: There is A and B section. Turn A or B for different system.A is for watching movie(both IOS and Andriod phone).B is for Andriod phone Only. 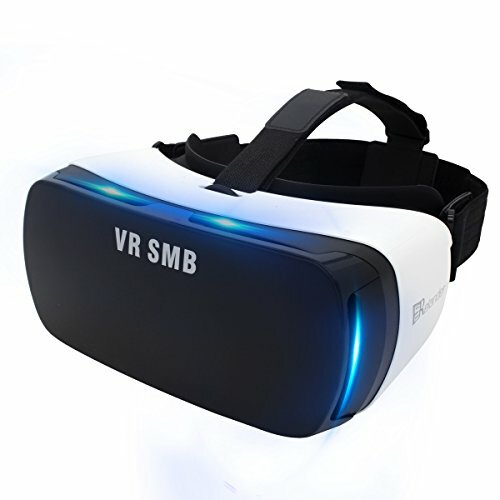 【3D EFFECT】:The Virtual Reality Headset can turn your smartphone into a virtual reality viewer,which offers you a truly fun and immersive experienceto enjoy shocking 3D effect. 【BLUETOOTH BUILT IN】: The Virtual Reality headset with Bluetooth 2.0 Module. No need to take off the headset to interact with our smartphones by bluetooth connecting when taking photos. 【WORK WITH SIRI】: The virtual reality headset Works with Massive iOS and Android virtual reality apps on Apple App Store and Google Play Store. 【Audio & Charge together】:You can charge and use earphone at the same time through the ventilation holes on both sides. 【PREVENTING VISUAL FATIGHE】:Design for lenses using vacuum ion plating refining that capable of blocking electromagnetic radiation. HD optical resin lenses, 8-layer nano-coating and 5 times polishing. It could effectively preventing visual fatigue. If you have any questions about this product by Crelander, contact us by completing and submitting the form below. If you are looking for a specif part number, please include it with your message.